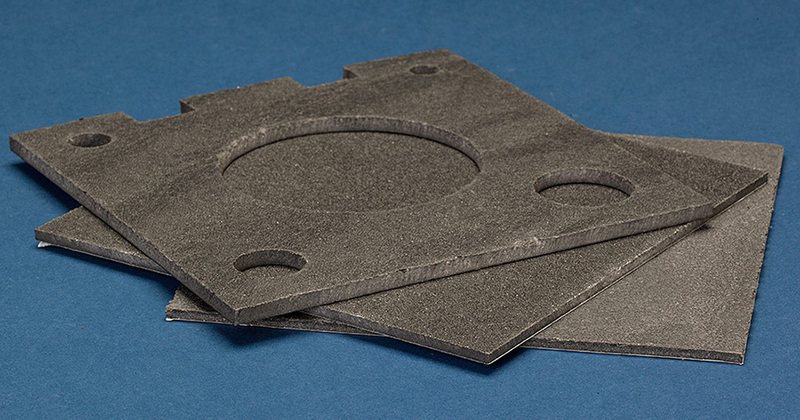 Whisperdamp VE-V0 is an extruded vinyl vibration damping sheet which has been optimized for effectively eliminating noise emanating from resonant structure and surfaces. This material is formulated to meet UL 94 V0 class flammability and is typically added to computer housings, domestic appliances and hospital equipment where flammability is critical issue. Can be extruded as thin as 35 mils (0.9mm) or as thick as 250 mils (6.35mm).